... practices in terms of customer growth methodology, governance and delivery objectives. ... to evaluating and improving the effectiveness of risk management control and governance processes. The standard deviation of salaries for the results of this search is 310,683. 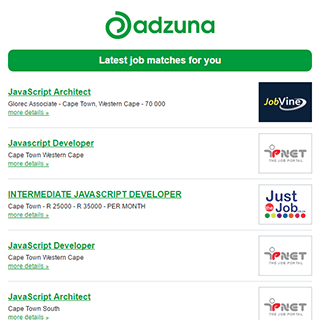 The Adzuna recency index score for this search is 1.60, suggesting that demand for Government job vacancies in Western Cape is increasing. Get the latest Government Jobs in Western Cape delivered straight to your inbox!